There is no doubt that the internet has changed the World. For the coin trade it has created far reaching transparency. Nowadays every collector can easily take part in auctions around the world and note realised prices. Thus an equal marketspace has been created and the dealer has become superfluous. Or hasn’t he? Lets take a closer look at a few aspects. An auction is always cheaper than a dealer. Not all auctions are cheap and you can also pay too much at an auction. A dealer has a good understanding of this and has on top of that often acces to other sources as a result of which he can make collectors interesting offers. The service of an auctionhouse is the same as that of a dealer. An auctionhouse organises an auction a few times a year and publishes a catalogue a couple of weeks in advance. Sometimes it has a stock with unsold coins for sale. A good dealer on the other hand keeps you informed of marketdevelopments all year round, does research for you, knows your fields of interest and adapts his communication to you accordingly. Thus a good dealer contributes actively to your collection. There are of course many other advantages a coindealer can offer to a collector, on which more another time, but a good relationship with a coindealer certainly has an added value for a collector and can bring him or her a lot of advantage. What makes that you need to have a specific coin? A collector sees a lot of coins during his collecting life. Yet there are only a few who leave a lasting impression. What have these coins that others haven’t? First of all the attraction of a certain coin has ofcourse to do with the subject of interest the collector has. But leaving this out of account, there are a few additional criteria who can make a coin stand out from the rest. Historical significance. Some coins have been struck at an important moment in history and draw their attraction from this. There are for instance the gold litrae of Akragas, struck in 406 BC during the siege of the city by the Carthaginians. . In the books of Diodorus Siculus you can read that the mercenaries, hired to defend the city, chose this specific moment to demand more money. The citizens of Akragas could only agree to these demands and the women had to hand in their jewellery so the gold litrae could be struck to pay the mercenaries. Every timehen I see one of these coins, I’m fascinated at how close I’am to an important moment in history. This is something that becomes increasingly important because of the American import restrictions and the hunt for illegally dug up artefacts. The fact that a coin once was a part of an important collection gives the coin an added charm. Also the fact that an important collector chose precisely this coin to be a part of his collection, makes that I look at the coin with greater attention. 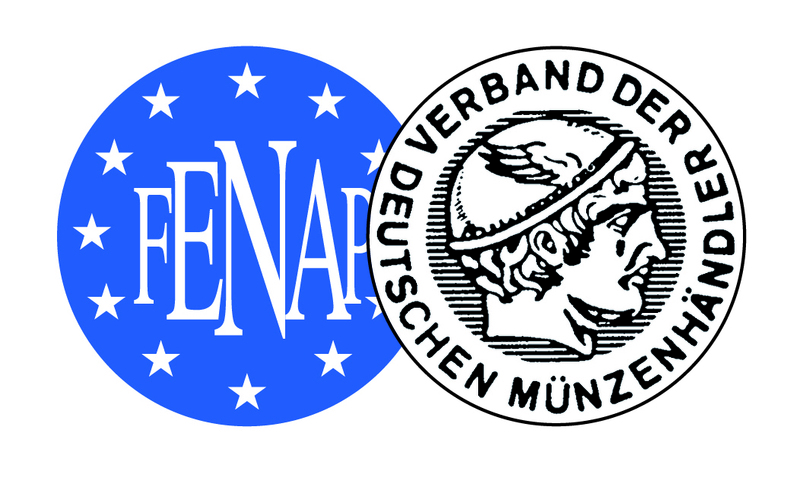 In this way the coins of the Kunstfreund and Hunt collection always have an added value for me. This added value is proven time and again. Whenever one of these coins comes up for auction, a premium of sometimes dozens of percents is being paid above the price of a similar coin coin without such a provenance. The image.There are coins of which the image is so striking and beautiful that it immediately grabs you. In these cases it is clear that a great artist has been working on the dies who managed to go beyond the standards of his time. Sometimes it is the image, sometimes the execution, but mostly it is a combination of the two. A good example is the gold stater of Tarentum on which the child Taras asks his father Zeus for help. This image is not only of great beauty and shows the craftmanship f the celator, but the way the image is rendered is also beautiful. The pose of Taras begging for help and the Zeus who sits, slightly bent over to listen to his child, on his throne. A story full of emotions captured in an image. Of some issues only one or a few remain. To imagine that the piece in front of you is all that is left from a complete emission. When I come across such a coin and realise that this is probably the only time I will be able to hold it, unintentionally my heart starts beating faster and in my head I explore the possibilities not to let it be the only time. In other words: How can I buy this coin? And the most beautiful coin? I don’t know, but it meets all of criteria above. Oh, and the emercency emission of Akragas didn’t help the inhabitants. The mercenaries left, despite the payment and the Carthaginians took the city of Akragas. Most inhabitants were able to flee to neighbouring cities. Akragas was never repopulated. The small ancient Greek denominations like the hemi-drachm and the obol are underrated. Most collectors prefer the bigger pieces like the tetradrachm and the stater. This is unfair. As far as the artistic quality is concerned, small coins are not inferior to their bigger counterparts. The images are mostly as fine, if not finer, as on the bigger pieces. The technique neccessary to produce these coins, the cutting of the die as well as the striking of the coins themselves, was, due to their size, more difficult than with the bigger coins. As regards to the price, the smaller denominations often cost only a fraction of their bigger counterparts. A collector can still get bargains here. Nowadays small coins are much easier to admire due to technical advance. The possibilities offered by digital photography and the computer are endless. There is even a digital microscope for coins available. The craftmanship and quality of these little masterpieces finally come into their own with these tools. There is no reason I can think of why collectors should not include small ancient Greek denominations in their collections. It happens regularly to me when I’m attending a coinfair that an interested collector makes an uninvited “offer” on a coin. Apart from the fact that I don’t work that way and my prices are fixed, the “offer” is without exception ridiculously low. What are these collectors trying to achieve? They obviously have no idea of market prices, or they would know that my prices aren’t unreasonable. Or, are they hoping I’m suffering from acute dementia and accept their “offer”? Now, I don’t know what their behaviour is like with other dealers, but if this is their buying strategy, they either have no collection at all or a collection of low grade coins. The bargains they are looking for simply do not exist. These days it rarely happens that a collector or dealer needs to sell quickly. And those that have to always find their way to a price in line with the market. What I observe is that really high grade coins are becoming rarer and rarer, and thus more expensive. And when a high grade collection of coins is being offered on sale, dealers and collectors are standing in line to outbid each other. So, the afore mentioned collectors are doomed to go home with only low quality coins and to have a collection that, when they want to sell, is worth less than the price they paid. They will have achieved exactly the opposite of what they set out to do. A saying in numismatics says that it takes a large fortune to make a small fortune. In my opinion this doesn’t have to be true. It depends much more on your starting points. Ancient coins as an investment belong to the asset class of “alternative investments”. As such they can form a sensible diversification in an investment portfolio. If one complies to, amongst others, the conditons of quality and rarity, a good return is certainly feasible. no correlation with regular investment products like stocks, real estate and hedge funds. When the financial markets crash, ancient coins remain relatively unaffected. coins are palpable and a collector has his coins in his possession. So, not like most financial products which only exist on paper and are being held by a financial institution, with all the risks attached. However, ancient coins are a long term investment with a time scale of 10 years or longer. The composition of the collection and when to buy and to sell, and where, are very important. Here, a specialized dealer proves his worth. With his knowledge of ancient coins, his notion of the market and his worldwide connections, he can help the collector/investor achieve a good return on his investment. And the nicest side of ancient coins is that they pay a dividend every time the collector looks at his collection. Massmedia are common in this day and age. It’s easy to reach the whole world hrough Facebook or YouTube. It is impossible to imagine our world without this form of communication. Radio, newspapers and television are the somewhat older massmedia, but they have the same function and envelopment. But how were messages transmitted in the Roman or ancient Greek World? Few people will realise that coins had an important role here. Even in ancient times coins covered vast distances. Through trade, payment of mercenaries, redemption money and taxes coins changed hands. Often up to thousands of kilometers from their place of issue. With the Greeks the city, the polis, was the most important. It was often represented by a patron-god or –goddess. An important event in the history of the city, for instance a victory at the Olympis Games, could be represented on the reverse. In the beginning the acceptance of the coins and the continuïty of this was of greater importance than a potential message. With some exceptions, coins became true bearers of messages in Hellenistic times. It was the Seleucids who who tried to cultivate the unity in their realm by putting a representation of Apollo on their coins. Under different names Apollo was known in the whole ancient World. During the Roman Empire coins were specifically used as vehicles for the transmission of information. Often coins were issued to proclaim the goals and deeds of the emperor. Think of victories, food distribution, social- and rebuilding-programs, etc.. In this way a population in an empire that stretched from Irak to Scotland was reached in a speedily and effective manner. Recently I had a discussion with a client about the liability of an auctionhouse. The client stated that with the presence of a notary, the authenticity of the goods was guaranteed. Sadly the reality is different: the notary is only present to oversee the selling proces. And even there not all is perceived. If the auction conditions are read carefully, they often state that the auction is held on behalf of the owners. Mostly this is not the auctionhouse. In that respect, the auctionhouse is only an intermediary without liability and can it be a difficult proces to obtain redress. Also, the possibilitie to file a complaint is often limited to two weeks. To find out if a coin is authentic takes usually more time. When it comes to a trial, this usually takes place in the country where the auctionhouse is based. For most buyers this results in more costs and problems. Often these costs outweigh the purchaseprice of the coin. It may be clear that for buying at auctions the old “Caveat emptor” certainly holds true. So, it is no superfluous luxury at all to have the advice of an expert when you purchase at auctions. It will result in a small percentage extra costs, but you are asssured that your purchase won’t give you headaches later on. In pricelist VI a tetradrachm of Hyspaosines is on offer. 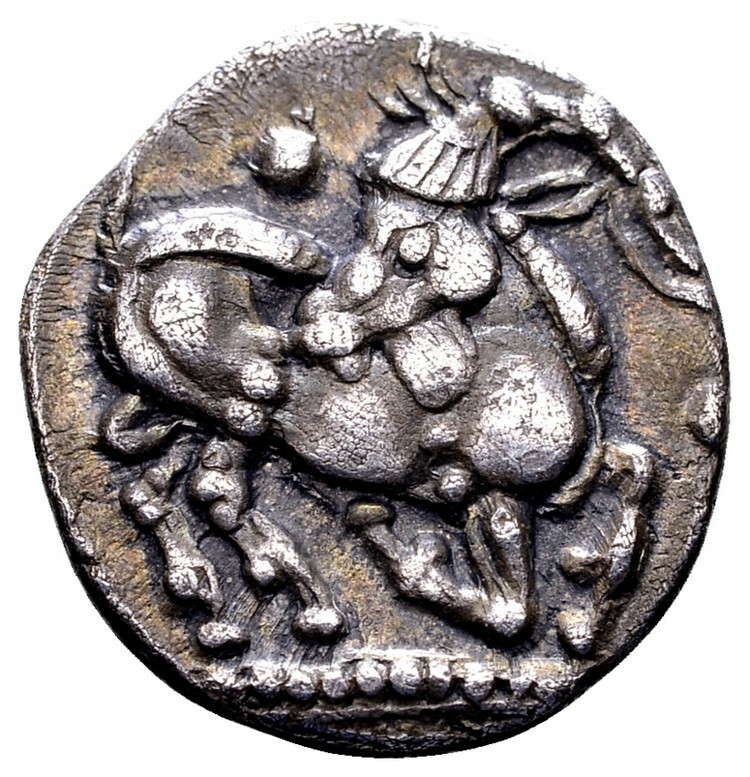 This very coin was minted in little known Charax Spasinou. Charax Spasinou means “walls of Hyspaosines” and refers to the embankments Hyspaosines had built to protect the city against the flooding of the river Tigris. In all likelihood Hyspaosines was an Arabian prince who was charged, probably in 166 BC, by the Seleucid king Antiochos IV with the building of a new port on the Persian Gulf. This city was supposed to become the center in the trade with India. After the death of Antiochos VI and the subsequent turmoil in the Seleucid realm, satraps proclaimed their independance. So did Hyspaosines, probably around 140 BC. Despite the upcoming Parthian empire, Hyspaosines seems to have been quite a succesful ruler who expanded his kingdom to encompass Kuwait and Bahrain. 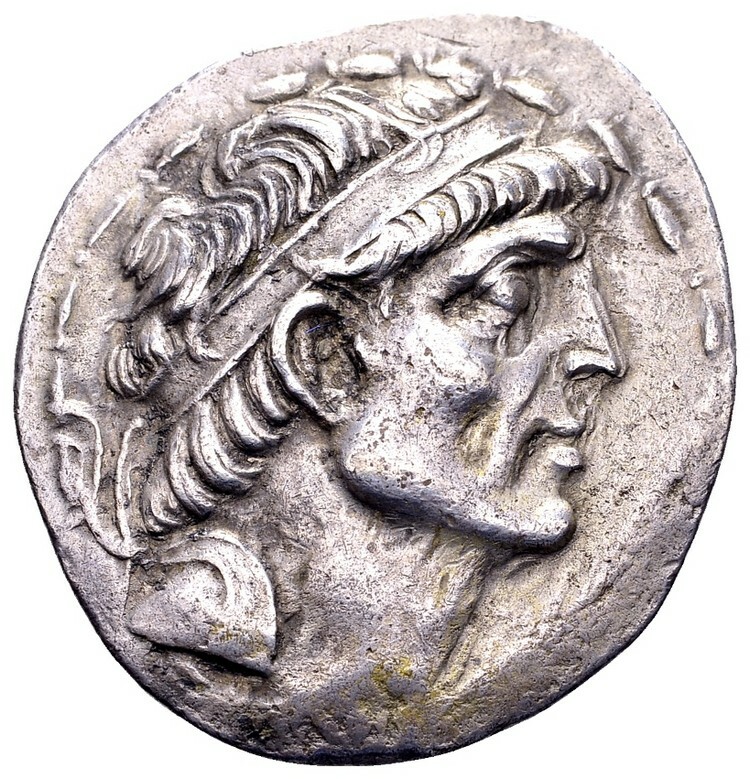 The tetradrachm her on offer has on the obverse a beautiful Hellenistic portrait of a man in the prime of his life, with a powerful physiognomy full of character. The reverse shows Herakles seated on a pile of rocks with a club and lions’skin. Although not directly a Seleucid image, it fits very well with the founder of a dynasty. Subconsciously one is reminded of Bactria and the coins of Euthydemos, who, about a century before, succesfully withstood the forces of the Seleucids. This coin, struck in Charax Spasinou, is dated Seleucid year 190, which coincides with 123/122 BC. Nowadays the trend amongst collectors is to collect perfect coins. For ancient coins this is extra hard as all coins were hand-struck and the chance of imperfections therefore increased. During some periods and in some places, a higher level of production was reached than in other periods and places, what resulted in a higher number of (almost) perfect coins in said period or place. From talks I had with fellow dealers it emerges that we are somewhat surprised at this dominant search for perfect ancient coins because it produces similar collections. Ancient coins that are numismatically very interesting because of their representation or die combination, but have a slight flaw, regularly do not do very well at auctions. Actually it is very easy to collect perfect coins: there is little numismatic knowledge required and all a collector has to look for is quality. The representation, the meaning of it and the historical value are of secundary concern. However, to give a collection value and signification one needs to apply diversification. It won’t take long for a collector of perfect ancient coins to be facing the dilemma to incorporate one or more coins in his collection that are not perfect, but do have an interesting story to tell and will give his collection more meaning. A terrible dilemma, but fortunately one easy to solve.